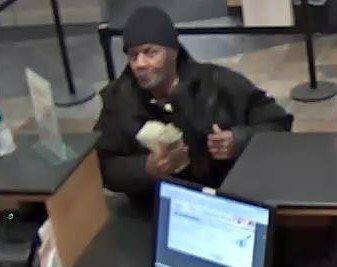 The man who robbed a Loop bank this week may be responsible for two other bank hold-ups since mid-January. 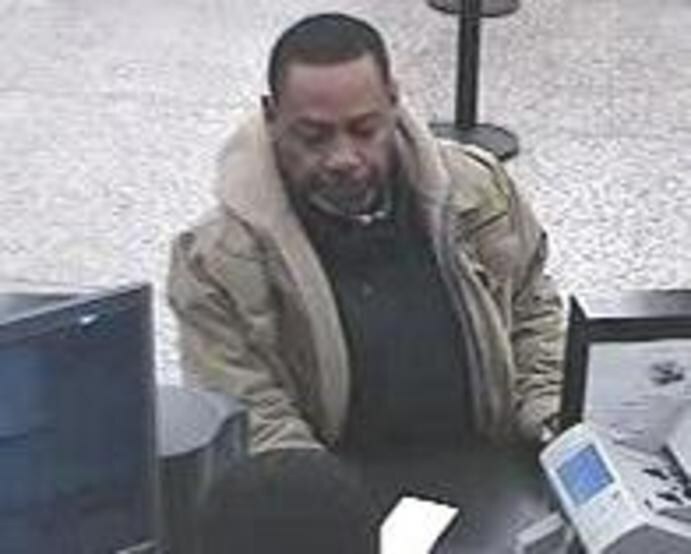 At 12:48 p.m. on Monday, the man seen above walked into TCF Bank at 29 East Madison and announced a robbery at a teller window. After collecting cash, the man fled north to Washington Street and then turned eastbound, according to witnesses. Police said the robber is male, black, in his 50’s, 5’8” tall, 200 pounds, and is missing a front tooth. The robber seen in surveillance images taken during Monday’s heist closely resembles the man who is being sought for robbing the Chase Bank at 10 South Dearborn at 1:09 p.m. on Jan. 16 and the Lakeside Bank at 1350 South Michigan at 3:47 p.m. on Jan. 31. The FBI has listed the two men separately on its bank robber tracking site. A reward of up to $1,000 is being offered for information that leads directly to the arrest of the suspect or suspects. The FBI's Chicago Field Office may be contacted at (312) 421-6700.